There was no shortage of robotics-related announcements today at NVIDIA’s GPU Tech Conference (GTC) in San Jose, California. We will start with NVIDIA’s Jetson AI computer platform adding support for AWS Robomaker, the cloud robotics service from Amazon Web Services. AWS RoboMaker makes it easier to develop, test and deploy intelligent robotics applications at scale. It includes a development environment to edit and debug robotics applications in the cloud and a simulation service that lets developers fine-tune robotics applications in simulation. 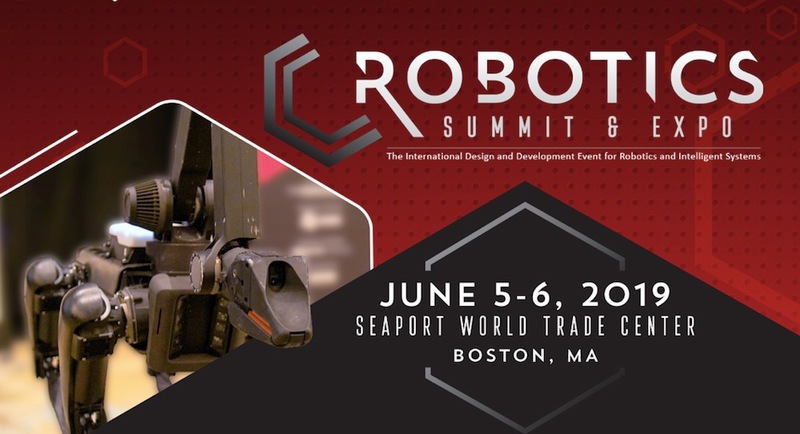 Barga and Talla will both deliver keynotes at the Robotics Summit & Expo, produced by The Robot Report, June 5-6 at the Seaport World Trade Center in Boston. In the keynote “Bringing AI-Powered Robots to Life,” Talla will dive into the elements required to bring a product to life and describe how it is now faster and easier than ever for companies, researchers, developers, and makers to get up and running with robotics. Barga’s keynote, called “The Role of the Cloud in the Future of Robotics,” will discuss the role cloud services will play in the future of robotics, allowing developers to partition functionality between their physical robot and the cloud, in particular compute intensive functionality such as machine learning and artificial intelligence. Register for the Robotics Summit & Expo by March 29 to take advantage of early-bird pricing. NVIDIA also introduced the Jetson Nano, a smaller and less expensive addition to its Jetson family. The NVIDIA Jetson Nano follows the Jetson TX1, Jetson TX2, and Jetson AGX Xavier. The Jetson Nano will be sold in two versions: The NVIDIA Jetson Nano Developers Kit for $99 (quantities of 1000), which is available right now, and the a production-ready module that will be available in June for $129 (quantities of 1000). For comparison, the Xavier retails for $1,299 and TX2 for about $600. The Jetson Nano, like its predecessors, will work with NVIDIA’s more than 40 CUDA-X AI deep learning libraries. Jetson Nano supports high-resolution sensors, can process many sensors in parallel, and run multiple modern neural networks on each sensor stream. The CUDA-X AI computer delivers 472 GFLOPS of compute performance for running modern AI workloads and is highly power-efficient, consuming as little as 5 watts. NVIDIA also created a reference platform called the JetBot to “jumpstart the building of AI applications” by minimizing the time spent on hardware assembly. The NVIDIA JetBot is a small mobile robot that can be built with off-the-shelf components. It joins Jetson Quick Start Platforms, which are “ready-to-code” kits built by NVIDIA partners. Everything about JetBot is open source and supports AWS RoboMaker. The JetBot reference platform can be accessed on GitHub.